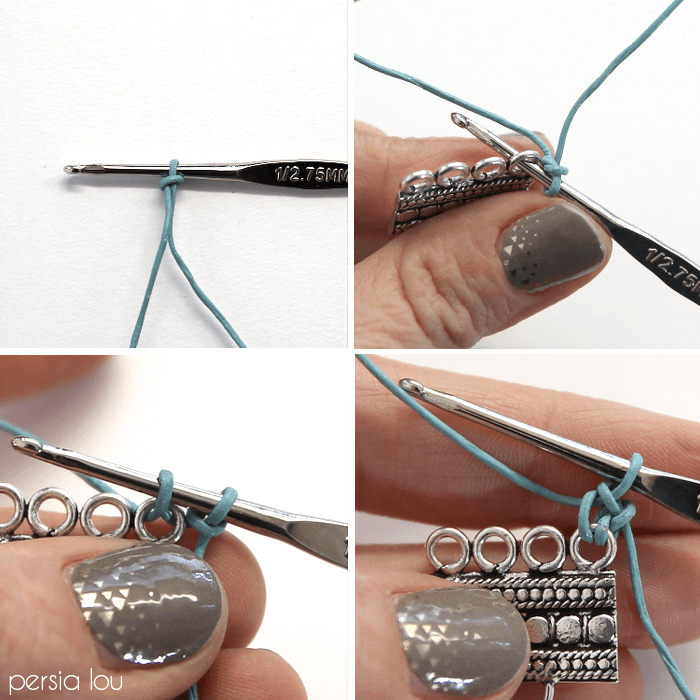 Learn how to make your own crochet leather bracelet with this free pattern and tutorial. 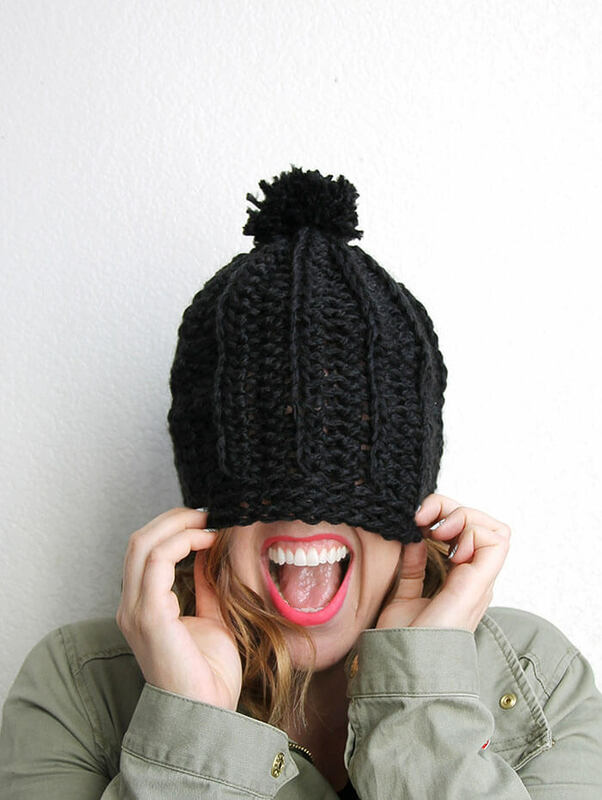 Crocheted leather and colorful tassels make a fun, on-trend piece. 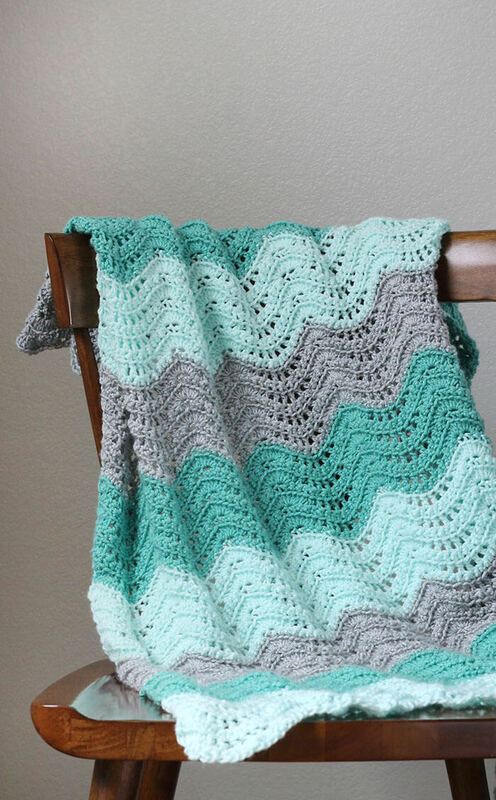 I originally shared this pattern at Darice, and this post may contain affiliate links, which help to support this site. Thanks! 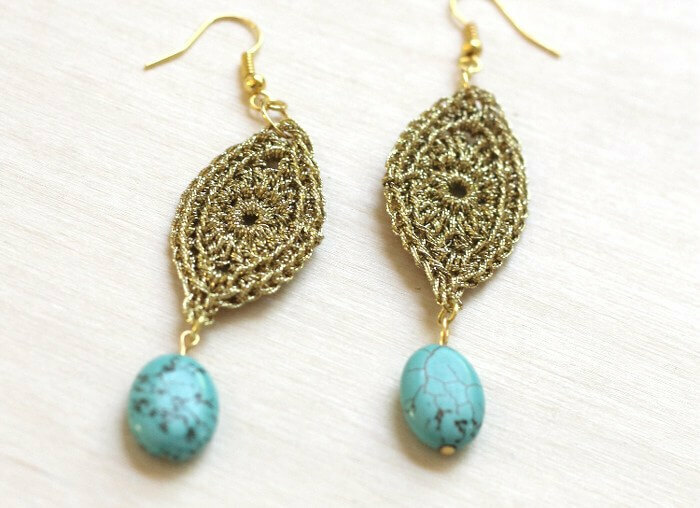 I don’t do a lot of jewelry projects and tutorials, so this post is a bit outside of my wheelhouse, but I’m always looking for new materials to crochet, and when I saw this thin leather cording, I knew it would make some great crocheted jewelry. Plus tassels are definitely trending right now, and they make this bracelet a lot of fun to wear. 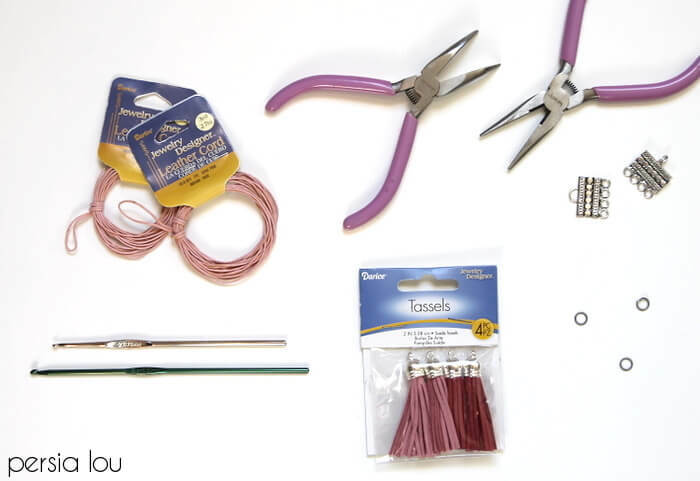 Ready to make some bracelets? Let’s do it! 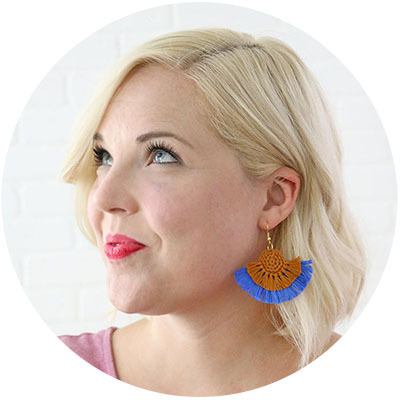 Tassels – they also come in blue! 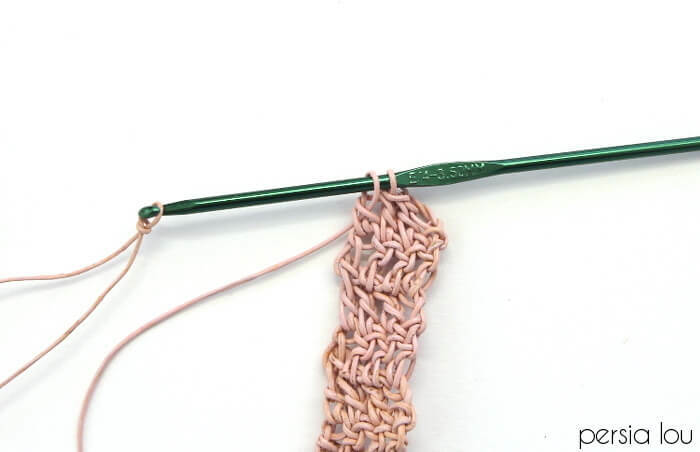 Step One – Begin by attaching your cord to one side of the clasp using a single crochet stitch. 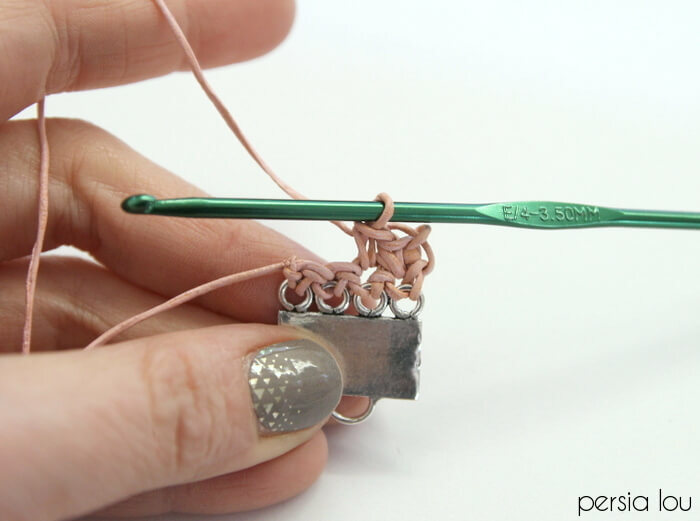 I love this clasp because you can crochet the leather cord right onto it! 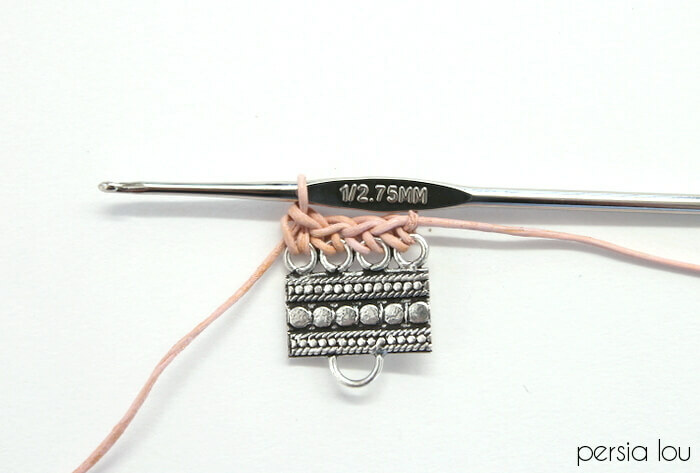 Using the smaller 2.75 mm hook (the other one is too big to fit through the holes in the clasp), crochet one singe crochet stitch over each hole. 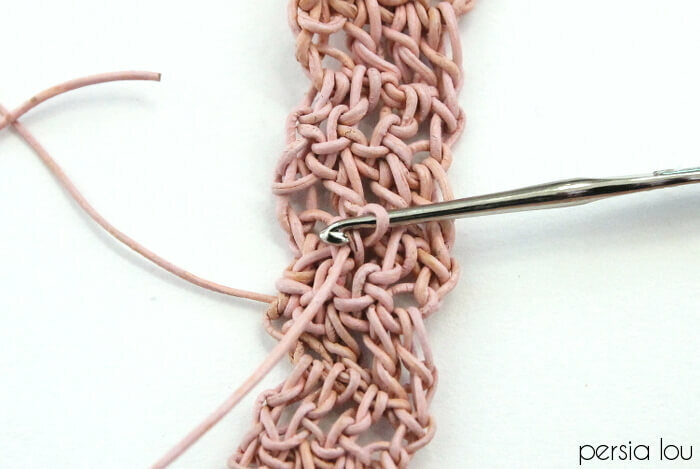 Begin with a slip knot on your hook and work each stitch over each hole in the clasp as shown in the image above. 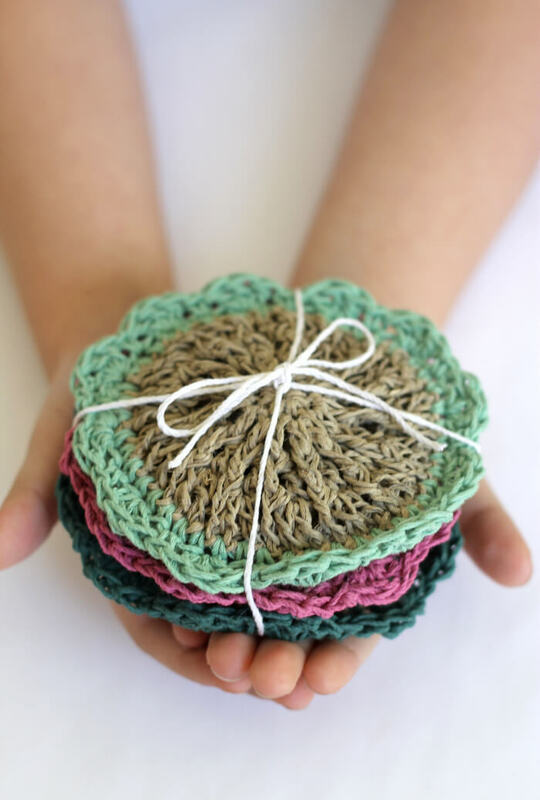 You should now have four single crochet stitches. 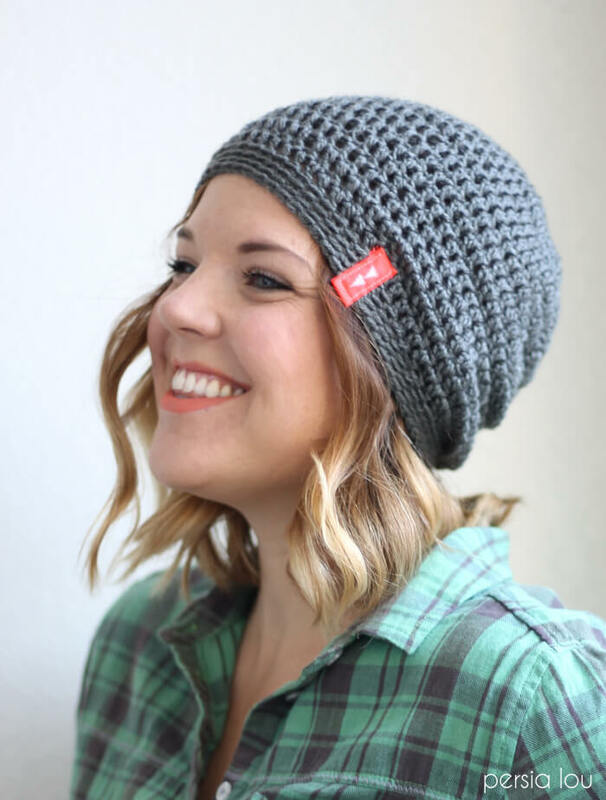 Step Two – Now we are going to switch to the larger 3.5 mm hook to give our stitches a little more room to breathe. 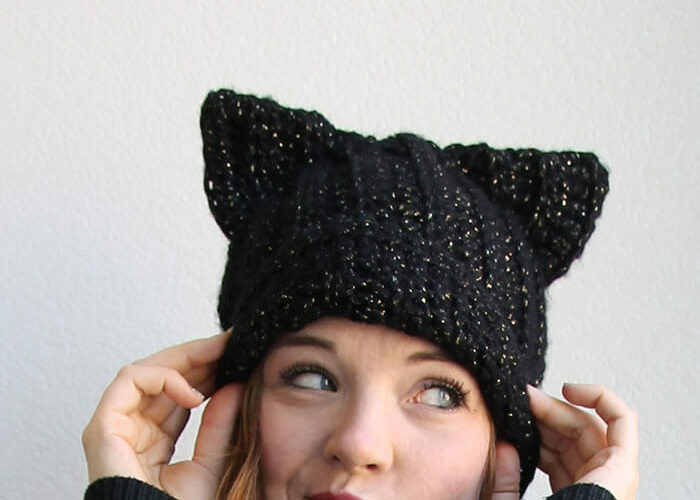 With the larger hook, chain 1, turn, and single crochet in each stitch across (that’s four total). 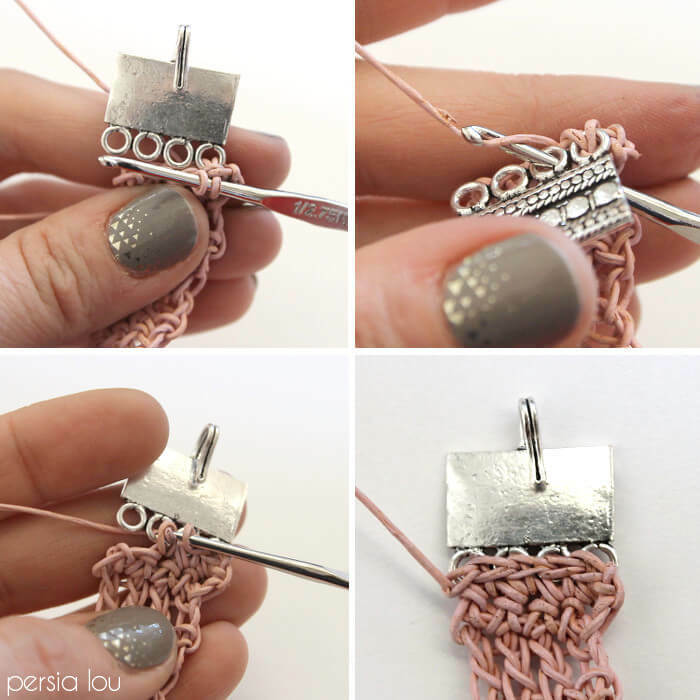 Step Three – To crochet your bracelet to the other side of the clasp, first insert your hook into the stitch in the bracelet and draw up a loop, then insert your hook into the hole in the clasp and draw through a loop. 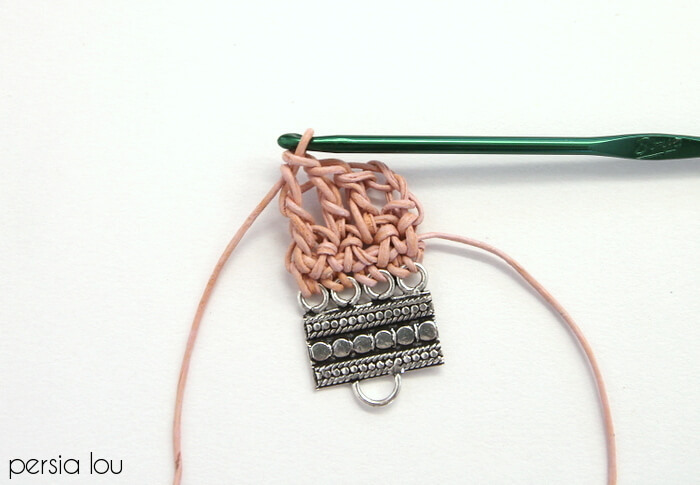 Step Four – When your bracelet is all crocheted, it’s time to attach the tassels. Ta-Da! 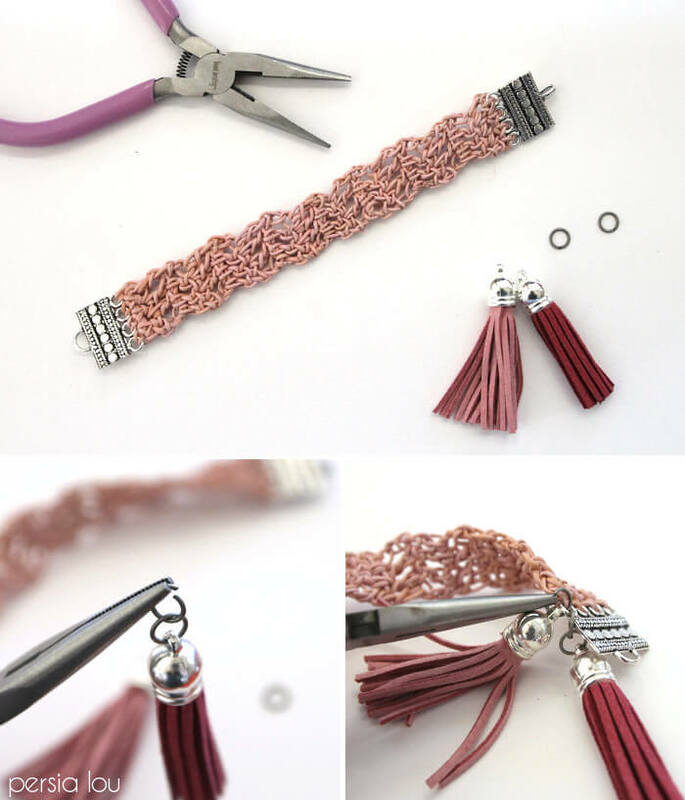 Your fancy new tassel bracelet is all ready to wear! This is so awesome….I love this…thank you for sharing with us! That&#39;s so pretty! You did a great job! 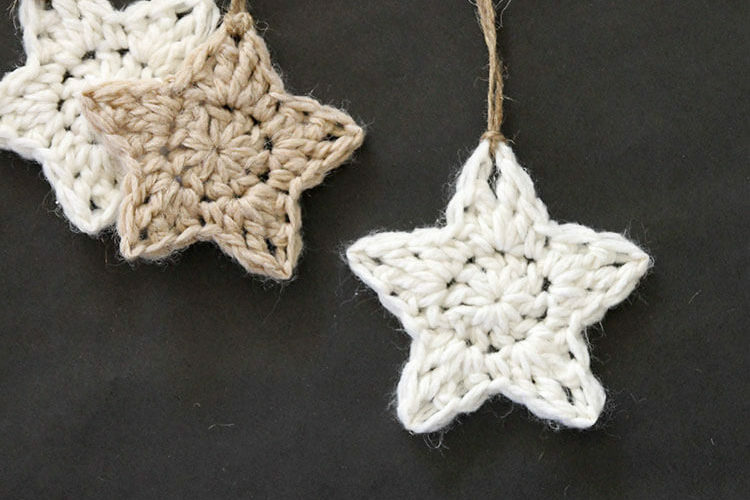 Thanks for the great tutorial+ your creative design!